On Saturday night, May 17th, and the following day until sundown, we will celebrate the holiday of Lag B’Omer. 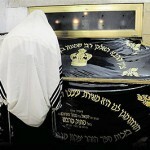 It is the day Rabbi Shimon ascended to heaven. The opening he created between heaven and earth is an opportunity for us to make a great spiritual connection to the awesome Light he left behind in the sacred words of the Zohar. The word ‘Lag’ has the two letters לג, numerically 33 and they represent the day number in the counting of the Omer. When we switch the letters we get ‘גל’ which is the root word that means ‘reveal’, ‘open’, ‘uncover’. The Holy Ari prepared for us a special meditation to read before studying the Zohar. In it he quotes King David Psalms 119:18 “גַּל-עֵינַי וְאַבִּיטָה– נִפְלָאוֹת, מִתּוֹרָתֶךָ” “Open my eyes so that I will observe amazing things from your law (Torah)”. With every study of the Zohar we reveal more of the amazing secrets of the spiritual system of YHVH that is concealed in the Torah. 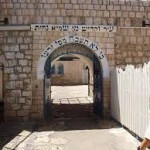 The 33rd day of the Omer is at the level of Hod of Hod, which represents a complete vessel. The five Sefirot of Chessed to Hod construct the vessel. Yessod is the connector/funnel for the Light to be transferred from the vessel to Malchut. 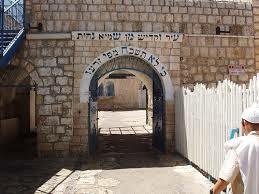 Rabbi Shimon opened a bridge between heaven and earth on that day giving us a great revelation of Light. This day is considered a representation of the holiday of Shavuot. Rabbi Shimon was born on Shavout when the Torah was revealed on Mount Sinai. We know that on the day a righteous person leaves the world all his life’s work is revealed. Instead of leaving the world on his birth date like all righteous people, Rabbi Shimon decided to create for us another Holy day, a day that his work of the Zohar is revealed to the entire world. 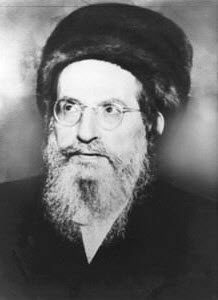 His last teaching on the spiritual system was written in the Idra Zuta and that is the Zohar part that we need to study on this day of Lag B’Omer. Rabbi Shimon was called in the Zohar ‘The Holy Candle’ and we light a candle to connect to his soul. 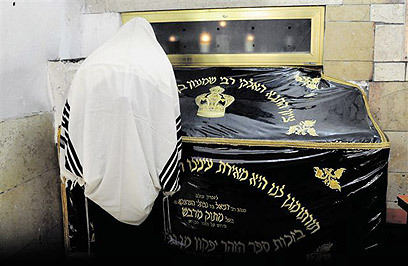 Holding a Zohar close to us on this day is like holding and connecting to the ‘Holy Candle’ that is Rabbi Shimon. Make your prayers with pure and open heart. I created a special edition of the Idra Zuta with translation of the first part that describes the ascending of Rabbi Shimon to the spiritual level, escorted by 70 righteous souls from the Garden of Eden. Find a link below for the text of the Idra Zuta. On Lag B’Omer, the Daily Zohar celebrates 5 years online with continuous delivery of Daily Zohar text and study. Over 1500 articles covering the complete study of 70 Tikunei Zohar, complete study of Zohar Pinchas and many other articles. For the last 5 years the Daily Zohar has been delivering daily study of the Zohar portion of the week. I thank God and Rabbi Shimon for guiding me into this work. The fact that the Daily Zohar is online for five years with growing numbers of subscribers is a testimony that we have the Light with us and that we should continue until Mashiach comes. I learn and grow with every Zohar I study and share with you. I thank my wife for helping me edit the commentaries, removing some grammar errors and making sure my commentary is comprehendible. I thank her especially for being patient with me when I disappear into my PC corner, working late on what’s needed to be done. I thank you the DZ subscribers for keeping your candles lit and share the wisdom of the Zohar with your friends. The Daily Zohar is unique because it connects thousands of people around the world on daily basis to the same Zohar text and study. It makes a great and positive spiritual impact in the world. Our Zohar map shows the spread of many thousands of connections we have around the world. I thank those who translate the DZ commentaries into other languages. I thank those who make donations and support the Daily Zohar. The spiritual power of the Daily Zohar comes from you. I may have started with my little candle and keep strong roots but it is you who spread the word about the Daily Zohar and make it a big tree of Light. You forward the studies and motivate people to subscribe. I never put a single penny in advertising the Daily Zohar. It is built and is growing on pure Light of sharing. You are part of it. (I encourage people to add in the comments section links to favorite studies and music videos related to Rabbi Shimon, including other links inside the Daily Zohar). Share the Idra Zuta and this page with your friends. Click on the icon of your favorite social network. The entire Idra Zuta reading in 19 tracksListen to the reading of the Idra Zuta during the holiday to elevate your prayers and meditations.Right click on the ‘Download’ link (down arrow on the right of the player) to save the file to your PC. Add to your playlist etc. Please copy and distribute freely. No limitation! Total recording length is 1 hour and 24 minutes.